Grocery stores are pretty much all staying open on both New Year’s Eve and New Year’s Day, but at the same time most will have limited hours. Unlike Christmas and Thanksgiving, most chains are open (except for Costco)–some with sales. Target: Open normal hours on New Year’s Day. Check local listings. Costco: Stores closed down New Year’s Day. Most stores are closed 6 p.m. New Year’s Eve. Kmart: Open regular business hours from 8 a.m. to 10 p.m. on New Year’s Day. Best Buy: Will close on New Year’s Eve at around 7 p.m.; hours vary by location. New Year’s Day will be open 10 a.m. to 6 p.m.
Toys R Us: Stores are closed New Year’s Day, with limited hours New Year’s Eve. Check local listings for hours. Macy’s: Some Macy’s locations will be open on New Year’s Day. Walgreens: Normal business hours. The 24-hour stores will operate normally. Check local listings. CVS: Normal business hours. The 24-hour stores will operate normally. Check local listings. Rite Aid: Normal business hours. The 24-hour stores will operate normally. Check local listings. Publix: Normal business hours. Check local listings. Banks are closed on Jan. 1 and may have limited hours on New Year’s Eve. Wells Fargo: Is closed on New Year’s Day but and banking hours vary on New Year’s Eve, with many closing 5 p.m. Check local listings. Branches will reopen on Jan. 2. Chase Bank: Normal hours on New Year’s Eve but it’s closed New Year’s Day. It will reopen on Jan. 2. Citibank: Normal hours on New Year’s Eve but closed New Year’s Day. Open Jan. 2. U.S. Bank: Normal hours on New Year’s Eve but closed New Year’s Day. Open Jan. 2. Capital One: Closes at 2 p.m. on New Year’s Eve but closed New Year’s Day. Open Jan. 2. TD Bank: Closes at 6 p.m. on New Year’s Eve but closed New Year’s Day. Open Jan. 2. HSBC: Closes at 3 p.m. on New Year’s Eve but closed New Year’s Day. Open Jan. 2. PNC Bank: Closes at 4 p.m. on New Year’s Eve but closed New Year’s Day. Open Jan. 2. SunTrust: Closed on New Year’s Eve and New Year’s Day. BB&T: Normal hours on New Year’s Eve. Closed New Year’s Day. Regions Bank: Closes at 2 p.m. on New Year’s Eve but closed New Year’s Day. Open Jan. 2. BBVA Compass: Normal hours New Year’s Eve but closed New Year’s Day. Open Jan. 2. For New Year’s Eve, most stores are shutting down early to enable employees to celebrate the holiday. 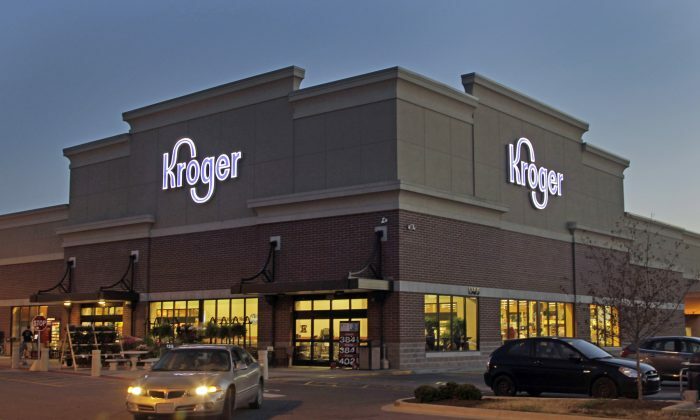 Kroger stores are shutting down at 6 p.m. Trader Joe’s stores are closing at 6 p.m. Costco stores are closing at 6 p.m. Publix stores are shutting down at 7 p.m. Whole Foods stores will be closing at 8 p.m.
Stop and Shop stores are shutting down at 9 p.m. Giant stores are closing at 9 p.m. Weis stores are closing at 9 p.m. These are all regular hours. Safeway has not indicated any earlier closing times; neither has ShopRite. On New Year’s Day, some stores will be open regular hours. That includes Weis, Giant, Publix, and Stop and Shop. Other stores will be open limited hours, including Whole Foods. Check with your local location for specific hours, but this mostly means the stores will close a few hours earlier than usual and perhaps open an hour or two later. Still other stores will be completely closed on New Year’s Day, which is a federal holiday. Costco, Sam’s Club, and Trader Joe’s will be closed on January 1. All stores will be open regular hours on January 2. And for New Year’s Eve–Wednesday, Dec. 31–the major banks will be open. Some banks might have shortened hours. Wells Fargo Close at 5 p.m.
Bank of America Close at 5 p.m.
PNC Bank Close at 4 p.m.
Capital One Close at 2 p.m.
TD Bank Close at 6 p.m.